So, I’m starting a blog. I’ve been on the road since August 2nd and have seen wonderful places, met fantastic people, and want to share with friends and family. So far, I’ve been through northern New Mexico, Colorado, Wyoming, Montana and Idaho. Still to go are Utah, Arizona, New Mexico (southern), and then back to Texas by Thanksgiving. I’ll post in order, so this all will be delayed until I get everything posted and caught up. Hopefully my pictures will convey the fantastic places we’ve seen. This entry was posted in Uncategorized and tagged travel by ontheroadwithriley. Bookmark the permalink. 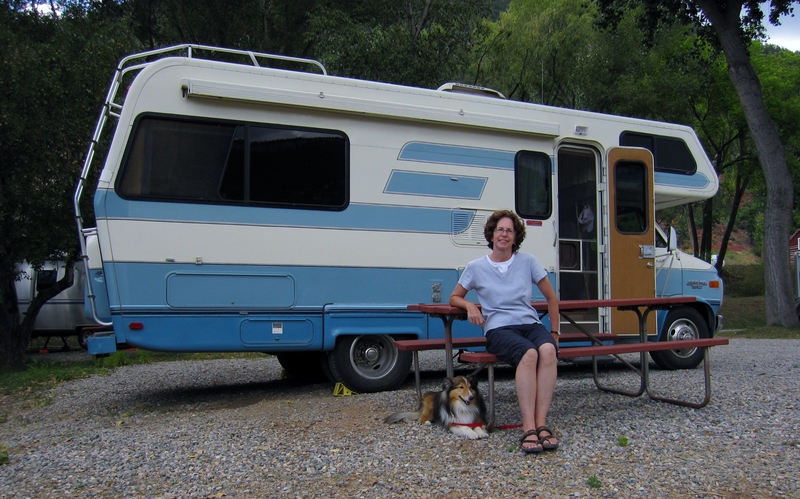 Happy to hear that you made the big jump into the RVing lifestyle and also the world of blooging. Congratulations! Have you thought about going to Quartzsite, AZ at the beginning of the year. There are about 20+ LD’ers that get together out in the AZ desert for about a month or two. It would be a great opportunity to meet a lot of wonderful people. Thanks Jim! Yes, definitely thinking about Quartzsite in January. I’ve heard good things. Also good to know that there is a LD group to join. thanks for the info! Hi Andy, thanks for the info. Actually, I read your website top to bottom early on in my research. Extremely inspiring! I did join the Life With a Lazy Daze group early on, too. Between seeing the items discussed and the for sale listings/pricing info, it’s been quite helpful. I have searched the messages on several occasions for issues like generator and awning problems. And, I downloaded the Eureka program right after I bought the rig from Bob in February. So many super ideas. Of course my stove cover doubles as a shelf, using some small gauge chain and s-hooks! By the way I often use the windshield cover that you gave to Bob. It really keeps the rig cool when parked facing the sun. So thanks for that, too! Thanks for all you do for the Lazy Daze community. Hope to see you in Quartzsite if you are going next year. Safe travels!